August 6, 2015 Activity Update – US Route 6 – Honest to Goodness, Indiana. Watch Gilbert run! Illinois – Indiana Border – Ask Gilbert what she likes about Illinois and she raves about trees that provide welcome shade. She also mentions picturesque bridges, historic towns, vast fields of corn, and old grain bins to store it in. Most of all, she praises the kindness of strangers and the welcoming smiles of the people, young and old, she met along the way. Click the image below for ALL ABOUT IT. 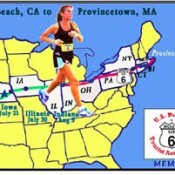 July 31, 2015 Activity Update – US Route 6 – Gilbert Runs Into Illinois! Running like the wind! 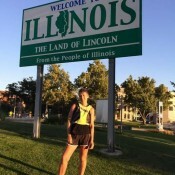 Aprylle enters Illinois! http://www.cruizn.us/index.html West on U.S. Route 20, the Yellowstone Trail, from Boston, MA to Newport, OR, then South on the Pacific Coast Highway Route 101 to Long Beach, CA, then East on U.S. Route 6, the Grand Army of the Republic Highway, to Provincetown, MA in time to join with the 2nd Annual U.S. Route 6 Provincetown Cruise Weekend in October. 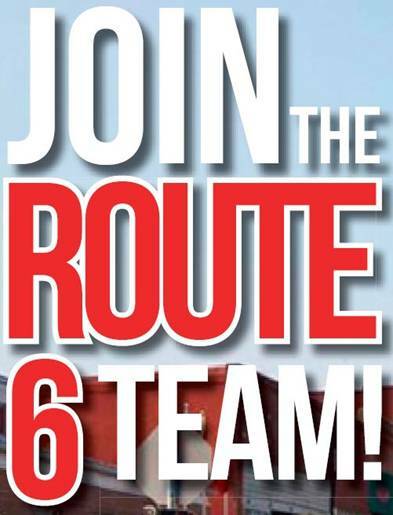 Watch for more information about CRUIZN the U.S.A. – Route 6 Happenings. Visit the link for Happenings at the top menu, details are available there to add your state’s happening.